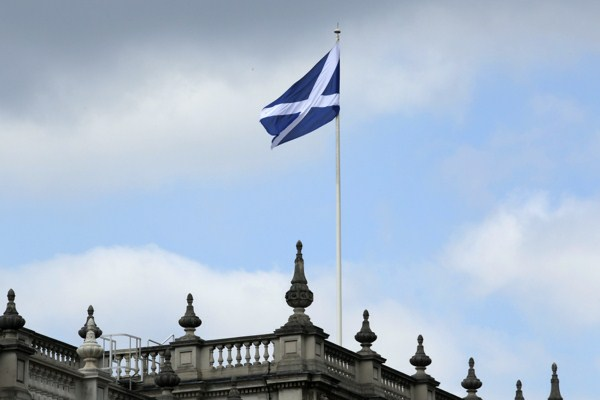 The Saltire flies on a government building at Whitehall in central London, Sept. 10, 2014 (AP photo by Lefteris Pitarakis). Scotland heads to the polls next week to vote on the question, “Should Scotland be an independent country?” The latest polls show that the “no” camp is ahead with 53 percent of voters. However, this comes only days after a YouGov poll indicated that 51 percent of Scots were in favor of independence.